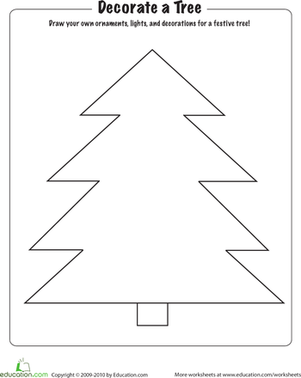 This Christmas tree puzzle is easy to make and fun to use. Build critical thinking skills over the holidays with a fun Christmas tree puzzle! This jigsaw is extra-special because you and your little one can make it at home. Try pasting this sheet on craft foam and then cutting it out to create a fun Christmas tree puzzle to re-use as many times as you like. Create a colorful Christmas tree puzzle with your child this Holiday season. Put a little colour in your Christmas cheer! Share this Christmas tree coloring page with your little sugar plum. 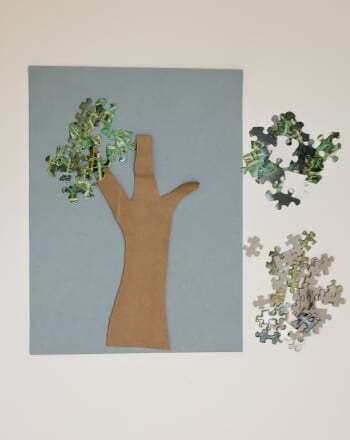 Recycle all those old puzzles with missing pieces into a cute and easy puzzle piece tree. This Christmas jigsaw puzzle gets your child to make a DIY puzzle with festive bells. Craft your own Christmas jigsaw puzzle with this holiday worksheet. 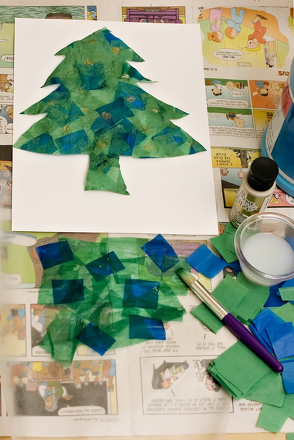 Ignite your kindergartener's creativity by showing her how to recreate her favorite Christmas symbol - the Christmas tree - out of tissue paper! This happy tree is full of Christmas spirit. Add some festive colors to his branches, and enjoy a quality Christmas coloring session! 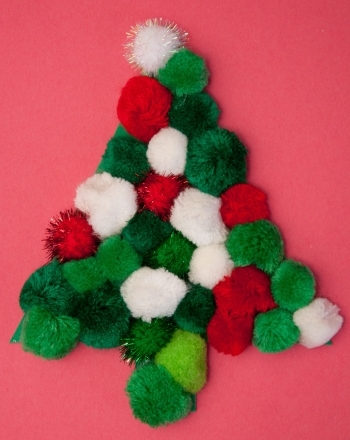 Kids can use finger paint and their little fingers to decorate this Christmas tree. 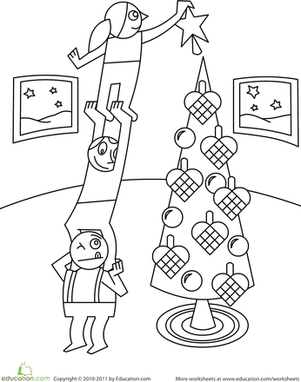 Jump into the holiday season with this Christmas tree coloring page. Your child will have fun drawing ornaments, garlands, and tinsel on her tree. Getting that star on the very top of the Christmas tree is a tricky task! colour in this family as they put that finishing touch on their festive tree.